Choosing in-home assistance for the elderly offers all kinds of benefits. Your loved ones get companionship and other services even in your temporary absence. There are several reputable home care agencies that you can rely on to take care of your aging family members. Heaven Sent Home Support Services, a well-known provider of in home care services in Oakland Counties, Michigan would be an excellent choice for those who live around the area. In any case, we’ve decided to list down 4 reasons that should convince you to partner with one as soon as possible. Home care brings caregivers who can deliver top-notch care in your own residence. It also goes without saying that it is quite expensive to partner with nursing homes and other care establishments as well. While we’re not saying such care arrangements are a bad thing, it would be best for you to choose them only when home care is no longer viable. In-home care assistance is not only more affordable, it also allows your loved ones to be close to a solid support system on a regular basis. As the ravages of time and illness become too much, people fear they’ve run out of options. This leads them to consider living outside of home, somewhere they would be safe and still be able to live a high quality of life. Most of the time, however, people end up disappointed with their choice as there is really no other place that would bring that feeling of peace and safety than one’s own home. While we are not discouraging those who decide to live in care institutions from pushing forward with their decisions, it still remains a fact that living at home brings a person joy and happiness unlike any other. One of the things that make an incredibly beneficial choice is that it allows elderly and disabled patients to continue living their lives the way they know how; and to be spared from transitioning into a completely new environment, which sometimes gets to be too much for them to handle given all the challenges in their life. Brings patients personalized care at home. A lot of home care agencies are famous because of the way they implement individualized care plans at home. Heaven Sent Home Support Services, renowned for their quality delivery of in home care assistance in Southeast Michigan, is one of them. Personal care attendants provide assistance with the activities of daily living, self-care tasks, and much more. An important tip when choosing an agency: make sure it offers services that are structured around the specific needs of your loved one. 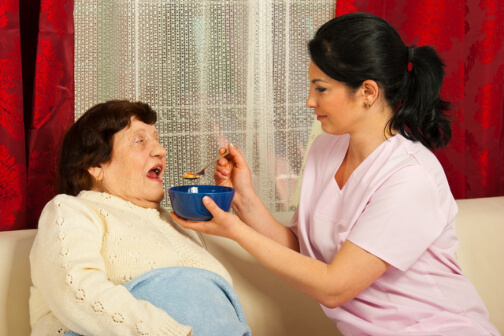 A crucial factor in a home care service is its ability to maintain independence and dignity in the patient. Home care services offer everything from minimal supervision to complete hands-on assistance. You know you’ve partnered with the right agency when they allow your loved ones to take matters of care into their own hands. At the very least, your loved ones must have a say in care decisions and in the ways care arrangements should proceed. Which so much of their life seemingly no longer in their hands, it helps to know that they can still take control of it to some degree. It helps them maintain dignity and independence which, in turn, can significantly improve their quality of life. This entry was posted in Home Care and tagged Elderly Care, health, Healthcare, In-Home Care, Professional Assistance. Bookmark the permalink.